Update: Since we wrote this post, Off Color has begun distribution throughout the city of Chicago. You can get a taste of what we experienced at any of the great bars on this list. A new brewery opening in Chicago is becoming a common occurrence and we're just fine with that. However, it's not every day that a brewery comes to the table with quite the resume behind its founding members. John Laffler and Dave Bleitner are the brains behind Off Color Brewing. Laffler who was previously the barrel aging guru at Goose Island, is the latest to leave Chicago's biggest brewery to take on their own project. If you don't know his name, you've likely heard of their greatest creation, Bourbon County Stout; one of the world's best reviewed beers and a direct product of the much lauded barrel aging program. Bleitner, formally the head of cellaring at Two Brothers in Warrenville, has been a major part of one of Chicago's most successful breweries. His creations include some of my personal favourites Sidekick Extra Pale Ale and Cane & Ebel Red Rye, to name a few. With that kind of qualification behind Off Color, you should be expecting something special. Earlier this week, they opened their doors to their new space in the Hermosa neighborhood to show everyone what they have cooking. The building itself is a typical converted Chicago warehouse, located behind Mozart Park near the corner of Armitage and Pulaski. Complete with breeze block walls, soaring wooden beams and a long skylight, John and Dave clearly put a lot of work into bringing the space back to it's former glory. They've even busted through the back wall to create a small "beer garden" which, for the event, comprised of two small tables, a keg of beer, and two bags of chips. All their brewing equipment is located along one wall leaving more than enough space for the guys to expand in the near future. A beautiful space with room to grow. In terms of beer events, this is about as raw as it gets. Standing in an increasingly crowded warehouse, I hurried to sample the beers on tap. Off Color will be coming to market in the coming weeks with two staples. Troublesome, a Gose style, low alcohol wheat beer with coriander and Scurry, described as a German Kotbusser honey beer with molasses and oats. 3 Floyd's Tonnerre Neige, fresh from the keg. I'm reserving judgment on any of these beers until I've had a chance to try them again, however I can say that Troublesome really stuck out to me. It is literally unlike anything I've had before, which is saying a lot. Picture your typical easy drinking wheat beer with a salty after taste... sounds unappetizing but it works surprisingly well. The description from Off Color mentions the unusual presence of Lactobacillus bacteria in their beer which gives it the distinctive flavour. I'm going to have to leave analysis on that front up to the experts but there's no doubt this has the potential to become a summer staple. look forward to my first hot, Troublesome, summer day while sitting out on one of Chicago's numerous patios. Also worth mentioning was Off Colors collaboration with 3 Floyds, Tonnerre Neige, a Belgian Strong Pale Ale. In France they'd call it Thunder Snow, I call it delicious. It's great to see that John and Dave have already been able to tap their presumably numerous connections to concoct such a great beer. If this is a taste of things to come from Off Color, then expect big things. Overall a great experience with Off Color and no doubt a reason to "watch this space". 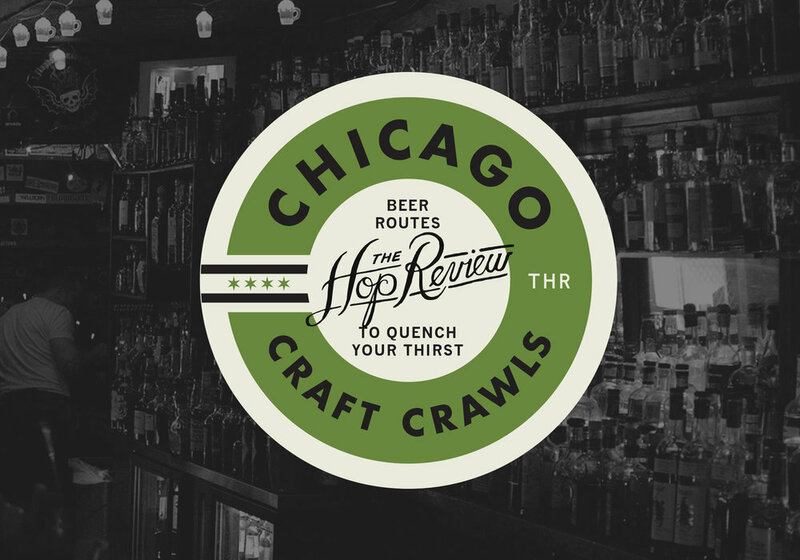 Chicagoans will start to see their beer appear around town starting on June 24th. Stay on top of Off Color Brewing on Facebook, Twitter and their soon-to-be website.